With Luang Prabang and Vang Vieng at the top of almost any Laos itinerary, the country of Laos has somewhat lost the charm of a very remote, off the beaten track destination and is slowly fizzling into Chinese organised tour mayhem. Yet, there still exist some corners of this land which provide for the insatiable adventurer, such as the Plain of Jars. It is not difficult to get to the Plain of Jars from Luang Prabang, making it easy to include this area on your Laos itinerary! Imagine coming across clusters of mysterious massive stone jars whilst traveling through rural countryside. 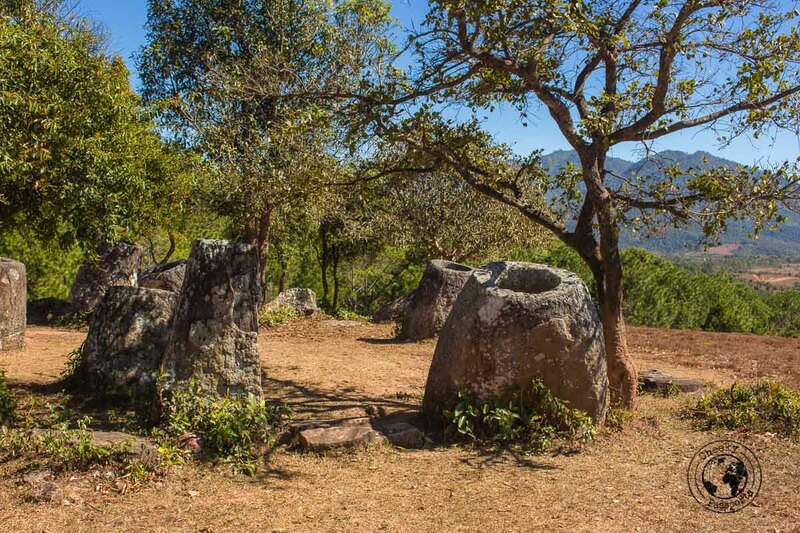 Up to 90 such ‘Plain of Jars’ sites exist in the Xiangkhouang Province of Northern Laos, where the huge jars, some half-buried, lie scattered in fields still peppered with unexploded ordinance (UXO), which in turn, are an unwelcome souvenir of the so-called Secret War in the 60’s. Having trouble booking internal flights in Laos? Choose Kiwi! Book your Bus, tickets in Laos online with Easybook or 12Go Asia. 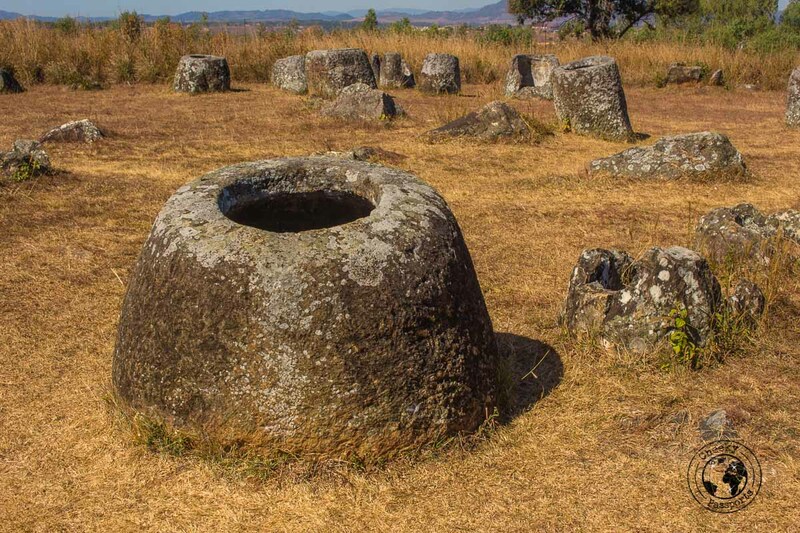 What are the Plain of Jars? Laos is renowned for its wonderful lush scenery, gushing rivers, waterfalls and golden Buddhist temples with a large number of visitors flocking to Luang Prabang and Vang Vieng, two of the most popular towns in northern Laos. 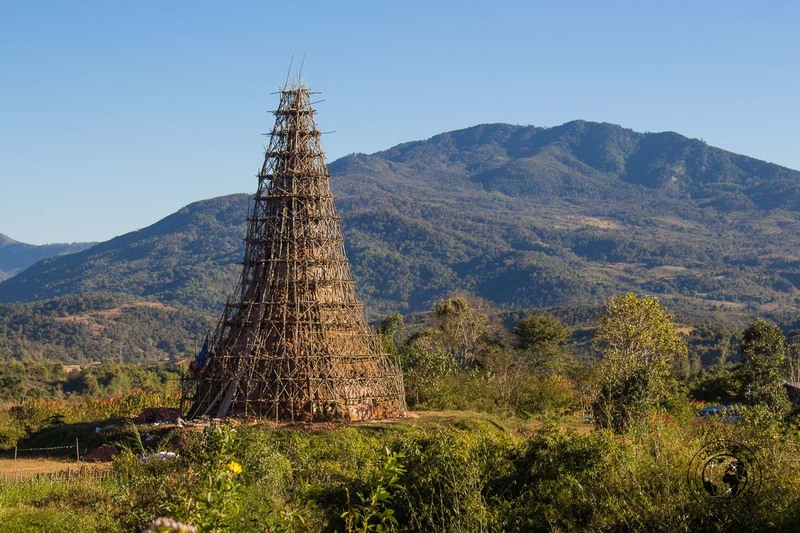 Yet, northern Laos is also home to a mysterious, a lesser-known, attraction near the town of Phonsavan, and considering that it is not very difficult to get to the Plain of Jars from Luang Prabang and Vang Vieng, this site can easily be included on your Laos itinerary. There are not many things to do in Phonsavan itself, but the rural countryside in the region is quite beautiful and home to some interesting temples and scenery. 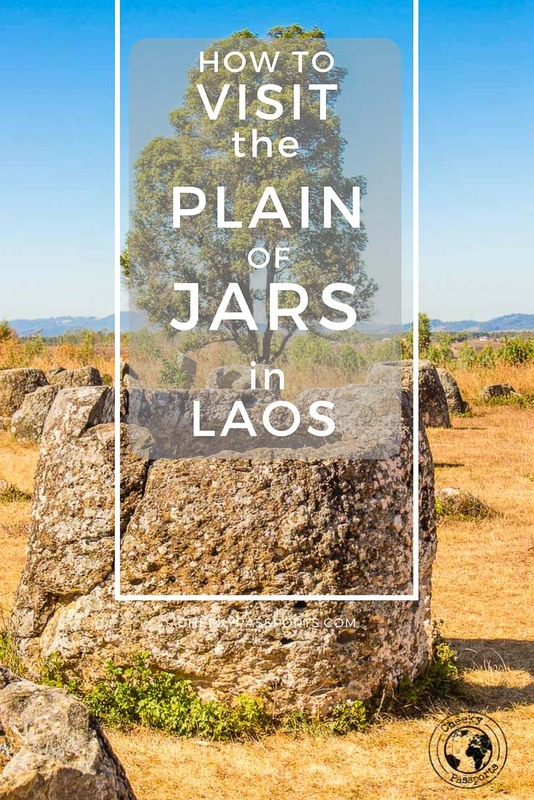 The Plain of Jars in Laos consists of over 90 Jars Sites with some of the sites having up to 400 prehistoric stone jars in various shapes and conditions, scattered about a number of plains. 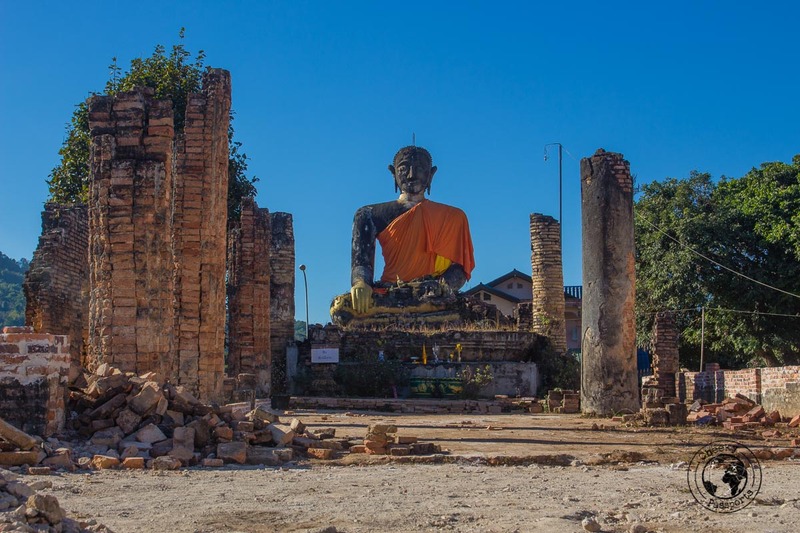 The sites are quite off the beaten track when compared to more popular attractions in Laos, but we strongly believe that anyone with even just a loose interest in history should not miss making the journey to Phonsavan. 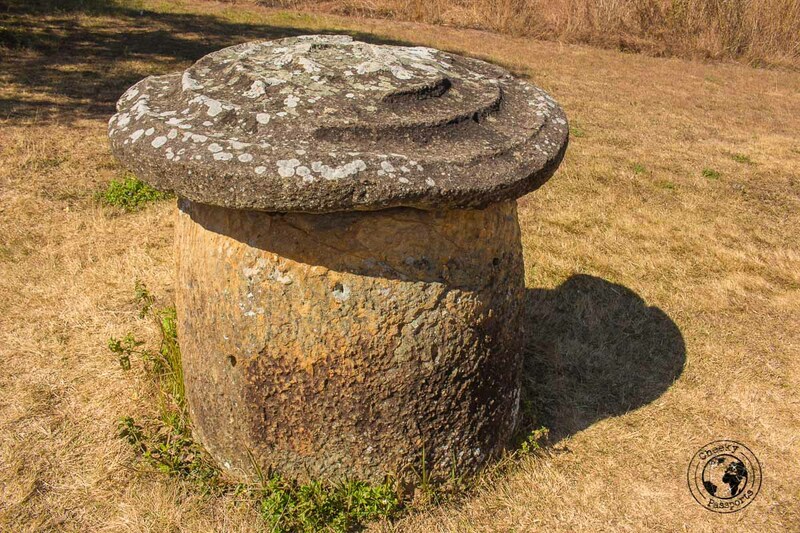 Although many colourful legends about the mysterious Plain of Jars have emerged, it is widely believed that they are in fact associated with ancient funeral rites, although this is by no means certain. The town of Phonsavan is the gateway to the Xiangkhouang Province and to the Plain of Jars sites. Phonsavan is home to an airport which receives internal flights, so it is easy to access the Plain of Jars from Luang Prabang and Vientiane. The flights are rather pricey when compared to taking the bus, which although more affordable, could take anywhere from 7-10 hours on a gut-wrenching route from Vientiane, Luang Prabang and Vang Vieng. Mano Guesthouse in Luang Prabang (we totally recommend staying at this place by the way!) arranged the transfer to the Plain of Jars from Luang Prabang (more specifically to Phonsavan), which included a tuktuk to the bus station and the actual bus ticket bus. The full ticket cost around 130,000 LAK (about €13) which sounded reasonable, although we later found out that the bus ticket costs 95,000 LAK (about €9.50) and a tuktuk rarely costs more than 10,000 LAK (about €1) each, but that’s fine as you would expect to pay for some commission along the way. We thought it was a good price for the convenience of not having to go to the bus station to book a ticket earlier. We do recommend booking a seat beforehand especially in peak season, as the buses to the Plain of Jars from Luang Prabang seemed to be leaving full. Word of warning – do not travel by bus to the Plain of Jars from Luang Prabang (or anywhere in Laos really) if you suffer from motion sickness – you will be very miserable the whole time! The roads in northern Laos are incredibly winding and half the people on the bus were feeling sick throughout the journey. The bus stopped for a lunch break after around 4 hours in a little town with local roadside restaurants. The return journey from Phonsavan to Luang Prabang was the same route in reverse, including lunch break. We needed to get back to Luang Prabang, but you can easily move on to Vang Vieng, Vientiane, or even Pakse depending on your onward journey. There are a small number of hotels in Phonsavan, mainly catering to travelers who, like us, were here to see the Plain of Jars. We chose to stay at Hotel Xieng Khouang which we found to be very pleasant, although the place caters for larger events and there was noise from some kind of party going on through the night. The very large room, with a private bathroom, and amenities (such as a kettle!) cost 155,000 LAK (about €15.50)/night. The staff of the hotel were a little brusque, and the receptionist was not very helpful, but the guy managing the restaurant was lovely, especially when Nikki left his wallet (containing most of our monetary budget for Laos) on the breakfast table, and only remembered about it a couple of hours later. It was kept and returned to us by the breakfast staff with not a single kip missing. On my part, I will make sure Nikki never forgets this episode! 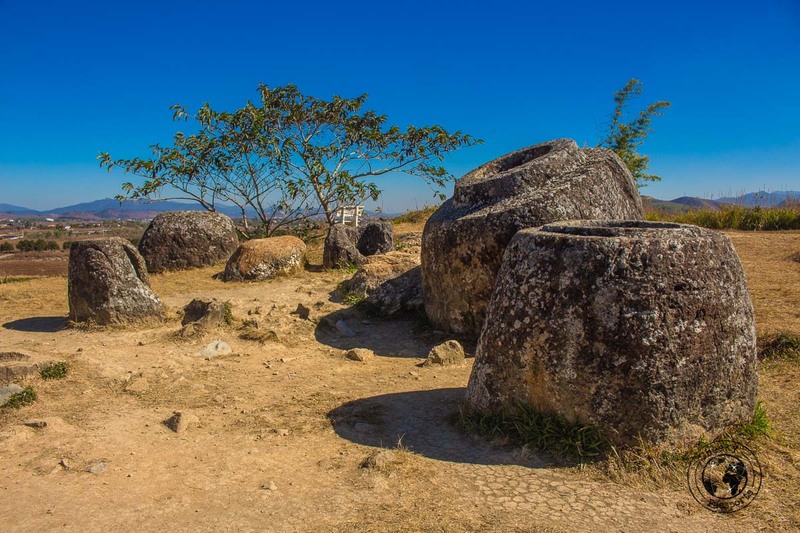 Many people opt to join a guided tour to the Plain of Jars which is a sensible option, especially if you would like to learn more about the history in the region. Because we really like to travel independently, we preferred to rent a scooter in Phonsavan to visit the three more accessible Plain of Jars sites, and also focus on some sightseeing of the area. Actually, we didn’t manage to find a fully-automatic scooter and rented out a semi-automatic bike instead for 80,000 LAK (about €8) for the day, from one of the few shops on the main road of Phonsavan which rent out bikes (only a few are available). 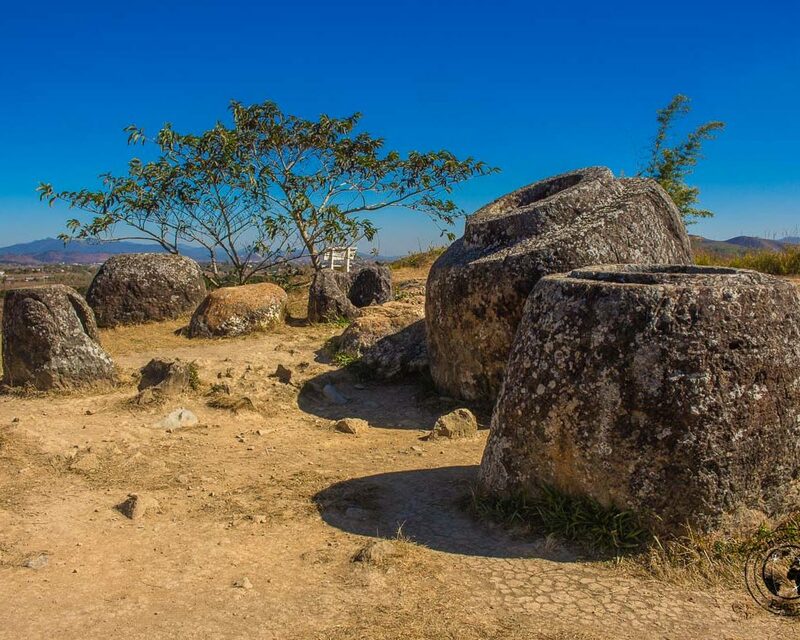 Although there are over 90 Plain of Jars sites in the region, Sites 1, 2, and 3 are the easiest to visit. All three are very accessible by bike. Plain of Jars Site 1 is the largest and most popular of the three, whilst Sites 2 and 3 were practically empty when we visited. There’s a little museum at Site 1 which includes explanations of the findings at the sites and provides some insight into the extent of bombing in the area. It is very important to stay within the marked paths when visiting the Sites. Keep in mind that the area was bombed very heavily, and there’s still a lot of UXO (unexploded ordinance) around. Unfortunately, to date, many locals frequently lose their life (or a limb if they are ‘lucky’) to UXO. The paths are clearly marked by MAG markers with the white side indicating a safe area, and the red side indicating an area that has not yet been checked for UXO. Be sure to stay on the white side of the markers! 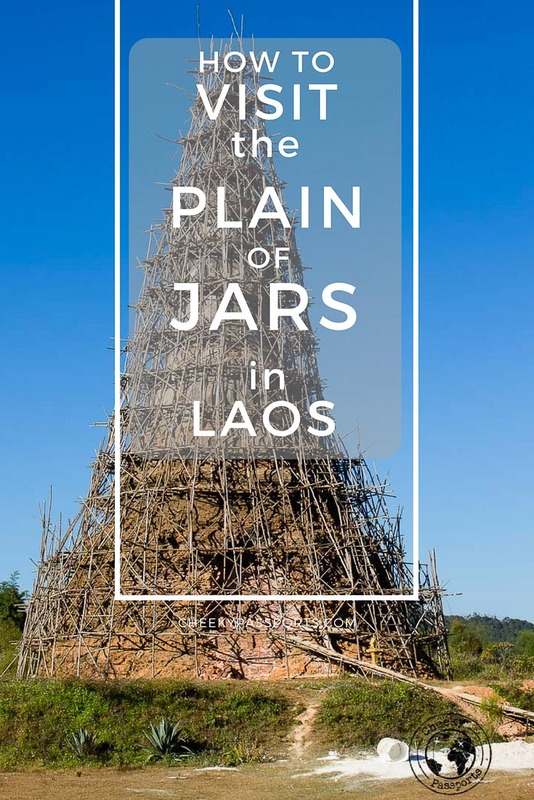 Although the main draw in the area is visiting the Plain of Jars, we discovered that this side of Laos is immensely pretty and not developed much, making it a welcome change from the tourist frenzy of Luang Prabang and Vang Vieng. This little visitor centre is that one place which should be on your list of things to do in Phonsavan (not that there are many) for some insight into how terrible and intense the bombing in this area during the Secret War really was. The centre is run by an NGO which sells artefacts and souvenirs made by the victims and their families at the little shop at the front. After visiting Plain of Jars Sites 1, 2, and 3, we decided to head on to the village of Muang Khoun located about 30km away from Phonsavan. The quiet town is home to three temples which are worth visiting namely Wat Piawat with its seated Buddha, That Foun and That Chomphet. The last two are mostly in ruins, but were being restored during our visit there. 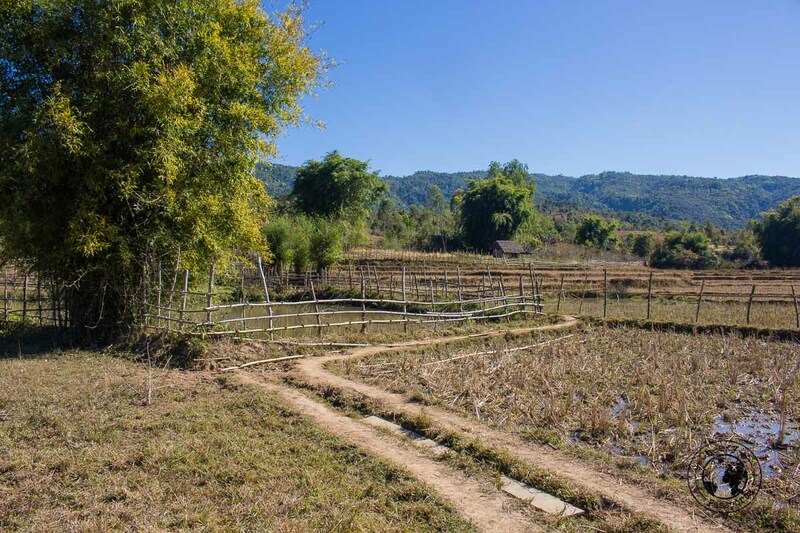 We though that That Foun, with its flower-lined path, was the prettiest one of the three, although it was covered in bamboo scaffolding, and we highly recommend putting a visit to the Muang Khoun village on your list of things to do in Phonsavan. Due to time contraints, we skipped our exploration of the caves and waterfalls in the region, though we have been told that there are plenty of them. We intended to visit Tad Lang, a waterfall located close to Plain of Jars Site 3, but during our visit to the Site, we were informed that the waterfall was completely dry. It’s best to check with the locals before venturing around. …or rather what is left of it. 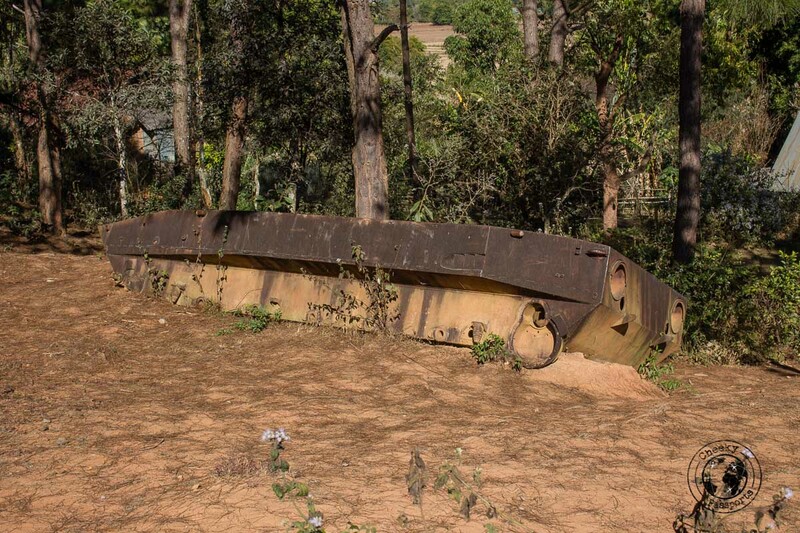 About 2km from the Plain of Jars Site 3, you can visit the abandoned remains of a PT-76 tank, which was most likely supplied by North Vietnam during the war and destroyed during one of the many U.S. bombings. The field it lies in is adjacent to the main road, but can be easily missed, and quite frankly, we thought that it was one of the more miss-able things to do in Phonsavan. There are a number of restaurants lining the main road of Phonsavan typically serving local, Chinese and Indian food. Our favourite of the few we tried was an unassuming place called Simmaly which we thought offered very good value for money. 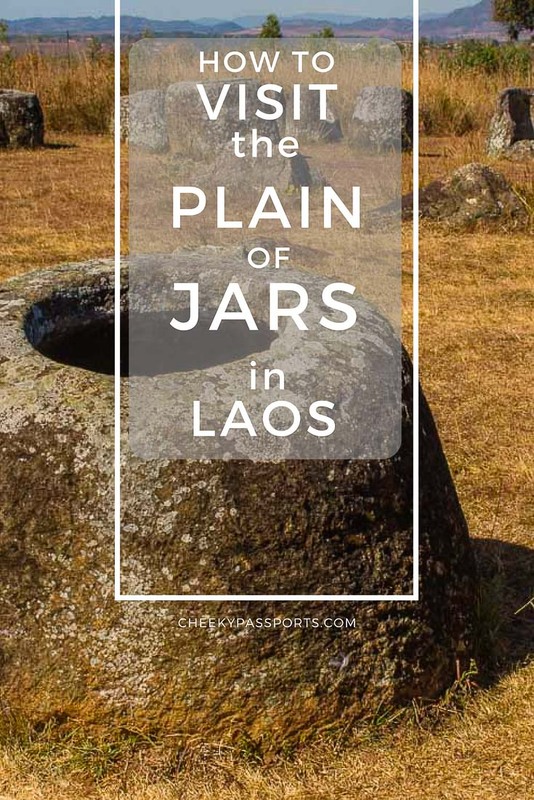 If you want to discover some of the more remote and off the beaten track regions in Laos, do put the Plain of Jars and the Xiangkhouang Province on your Laos itinerary!